Laura Graduated from Cardiff University in 2006 and has worked within the NHS and private hospitals in South Wales and Worcestershire. Laura specialised in musculoskeletal physiotherapy and moved into private practice and has since completed modules in orthopaedic medicine and also qualified in Acupuncture. She enjoys treating a wide range of musculoskeletal conditions, sports injuries and post-operative rehabilitation. She is qualified in Acupuncture and a member of the AACP. Rosemary trained at the Royal Orthopaedic Hospital School of Physiotherapy, Birmingham, between 1974 and 1977. After working in the NHS in West Birmingham, Worcestershire and Warwickshire, and in Private Practice in Switzerland and South Africa, she joined Margaret at Studley Physiotherapy Centre and has worked to develop SPC over the last 35 years. Rosemary is qualified in Acupuncture and a member of the AACP. Carol qualified from Queen Elizabeth Hospital Physiotherapy school in 1983. She has extensive experience in the NHS including lead roles in musculoskeletal services in various parts of the UK. Carol has a postgraduate qualification in the McKenzie concept and a particular interest in the treatment of spinal problems and complex pain. Lee qualified in 2007 from the University of Salford. He has experience of managing a wide variety of Musculoskeletal conditions within the NHS and private sectors. He is qualified in the use of acupuncture. He has a previous sporting background of playing football and now regular enjoys attending gym sessions. Christine qualified in 1983 from the Queen Elizabeth Hospital in Birmingham and has worked extensively in the NHS since then specialising in trauma and orthopaedics and gaining extensive experience in treating musculoskeletal dysfunctions. She enjoys the variety of treating and managing a wide range of musculoskeletal presentations but especially in relation to the spine, hip and knee. 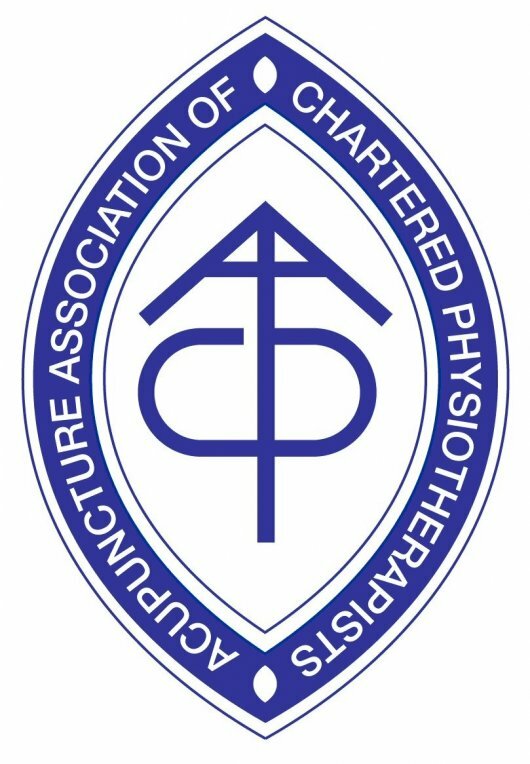 She became a member of the Manipulation Association of Chartered Physiotherapists (MACP) in 1993 and is also a member of the Acupuncture Association of Chartered Physiotherapist (AACP). Christine also specialises in Vestibular Rehabilitation, assisting patients who suffer from dizziness and balance problems. She enjoys trying to keep up to date with constantly evolving evidence based research in relation to best practice. Jonathan graduated from Sheffield Hallam University in 2009. He completed his junior Physiotherapy rotations at Mid-Staffordshire NHS Foundation Trust, giving him a sound foundation across multiple specialities. He then worked at the Queen Elizabeth Hospital Birmingham as Senior Physiotherapist across Neurosurgery (including complex & major trauma rehabilitation), Musculoskeletal Rehabilitation, Oncology & General Medical rehabilitation. He has also worked as a Senior Locum Physiotherapist specialising in Neuro-musculoskeletal rehabilitation, working initially within the NHS & then moving into a Private setting. He enjoys treating a vast array of different conditions, including; spinal & peripheral joint problems, neuro-musculoskeletal problems, sports injury & prevention as well as post-operative rehabilitation. Amber graduated in 2003 with a First Class Honours degree from Coventry University and has a MSc in Chronic Pain Management. She is a highly experienced specialist Physiotherapist and has worked in a variety of locations as a Clinical Specialist in Chronic Pain & Musculoskeletal Management. She is qualified in Acupuncture and a member of the AACP. Ellie graduated in 2013 from Coventry University with a First Class Degree with Hons. Following graduation, Ellie worked at Hereward College, The Neuromuscular Cente Midlands, Queen Alexandra College, Complete Neuro Physio and at Solihull Hospital. She joined SPC in December 2015. Ellie has experience of working with orthopaedic and Musculoskeletal conditions has a keen interest in Neurological Physiotherapy. Jessica graduated from Keele University in 2010 with a BSc (Hons) in Physiotherapy. From there she went on to work in private practice for a sports and injury specialist, developing her skills in the musculoskeletal field, including treating a variety of athletes. After two years she joined Walsall Healthcare NHS Trust as a rotational junior physiotherapist, developing her core physiotherapy skills further before leaving in 2014 to join Sandwell and West Birmingham Hospitals NHS Trust as a senior musculoskeletal physiotherapist. Jessica joined SPC in December 2016 and has completed several post-graduate courses as part of her CPD, including foundation training to become an Acupuncturist and to use hydrotherapy and hippotherapy as a treatment modality. Sarah graduated from the University of Southampton in 2012 and also holds APPI Matwork Levels 1 and 2 (The Australian Physiotherapy & Pilates Institute). She has worked in a variety of acute NHS settings and now works as a Senior Musculoskeletal and Orthopaedic Physiotherapist. Sarah will be running a new Pilates Class at SPC on a Wednesday afternoon at 4:30 pm from January 2018. Carl graduated in 2004 and then worked for a number of years at Morriston Hospital as an NHS Physiotherapist before leaving to study Chiropractic manipulations at Glamorgan University. He also holds qualifications in Sports Therapy and Rehabilitation and Sports Massage. Carl joined SPC in June 2018. Nicola graduated in 2006 from the University of the West of England. Since qualifying she has worked as a Specialist Physiotherapist at the Spire Parkway Hospital and has worked in private Physiotherapy Practice for a number of years. Nicola is qualified in Acupuncture and holds both APPI Matwork Level 1 and 2 and is therefore a Physiotherapy led Pilates Instructor. She has specialist training in Women’s Health, in particular pelvic girdle pain and pregnancy related conditions including post-natal rehab. She joined the SPC team in July 2018.